Four childhood friends go their separate ways, two go off to college while the others become rival gangsters. A sixty-something woman, faced with the discovery of a heinous family crime and in the early stages of Alzheimer's disease, finds strength and purpose when she enrolls in a poetry class. A story that follows the lives and interactions of two Buddhist monks living in South Korea. An adaptation of nine stories from Boccaccio's "Decameron". In the elegant world of artists and musicians, Gertrud ends her marriage to Gustav and takes a lover, the composer Erland Jansson. Poverty and misery are rife in Gourga, a village in the Sahel. The inhabitants must choose: stay and await international assistance or leave for more fertile regions in the country. Do-seong is a child monk who lives at a small mountain temple with the head monk, learning the teachings of Buddha. 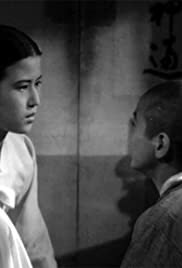 He becomes attached to a young widow who comes to pray at the temple, and the childless widow entreats the head monk to let her raise Do-seong as her own son.